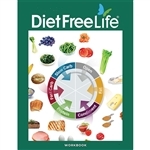 The Premier Diet Free Life Program shows you how to eat what you want (and can afford), optimize blood glucose (sugar) and still lose weight every single week! If everyone ate the exact same meals and snacks - even fat burning meals and snacks - some will continue to lose weight and others will experience a weight loss stall. WHY? Because our bodies (metabolism) are unique and some people lose weight modifying how they balance their carbohydrates in conjunction with protein and fat calories.